Every few years, every home could use a little updating. After all, styles change as the years go by, and materials improve at the same time. There are tons of components in a home that could be modernized and changed, including popcorn ceilings. If your home is aging a little, the chances are pretty high that there are popcorn ceilings somewhere in your home. If that’s the case, you’ve probably considered getting rid of them in favour of a smoother finish that’s a little more modern and easy to clean. Let’s face it: popcorn ceilings are way out of date, and if your home still has this sprayed-on stucco somewhere, it’s probably time to get rid of it. So why would you want to spend the time removing your popcorn ceiling? Here are just a handful of benefits you can take advantage of. Years ago, it wasn’t uncommon for various components of a home to contain asbestos, including tile, insulation, and popcorn ceilings. Asbestos is a hazardous material that has been linked to mesothelioma (a specific form of lung cancer) when it is inhaled over long-term exposure. While asbestos is typically fine when it is left alone and undisturbed, it can become a serious toxin if it is allowed to become airborne. Anytime you fiddle with the ceiling, you run the risk of allowing those particles to make their way into the air to be breathed in by all who dwell in your home. 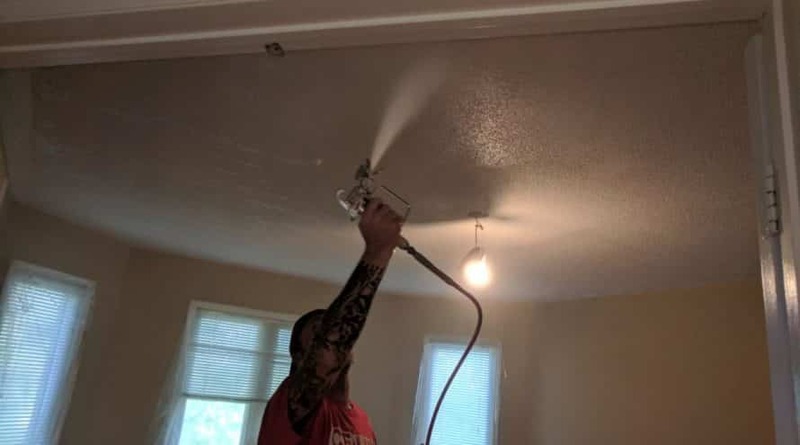 One of the biggest benefits of getting rid of your popcorn textured ceiling is eliminating the presence of a dangerous substance like asbestos. 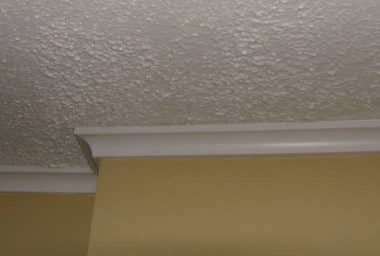 All those ridges and crevices that are common with a popcorn ceiling are traps for dust and debris. That means the ceiling will need to be cleaned more often in order to keep it in pristine condition. With popcorn ceilings, cleaning is a real chore. Trying to run a cloth or vacuum over top needs to be done with great care, as being too rough with it can cause the material to break off and become airborne. As mentioned earlier, if any asbestos exists, you could be causing a hazard in your home is you mess around with your popcorn ceilings. It would be so much easier for you to keep your ceiling clean if you got rid of your popcorn ceilings. Ceilings can sometimes get stained or can become discolored over time. 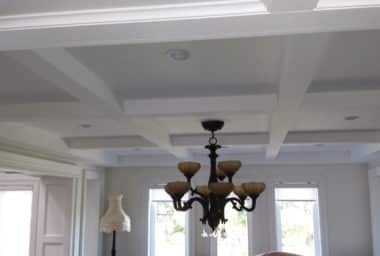 Just like the walls of your home, sometimes your ceilings could use a fresh coat of paint to bring them back to life and renew their appearance. With smooth ceilings, painting is usually not an issue. However, popcorn ceilings are tough to paint over, just as they are hard to clean. 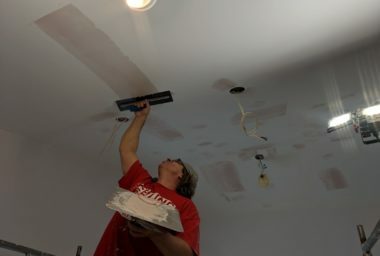 Removing your popcorn ceilings can make your life a lot easier if you want to repaint the surface. A smooth surface is much sleeker looking than outdated popcorn ceilings. If there’s one reason to get rid of your popcorn ceiling, it’s to improve the overall look of your space. Before you decide to remove your popcorn ceilings, make sure you’ve called in the professionals in popcorn ceiling removal. This is not an easy job: it can be labour-intensive, time-consuming, very messy, and potentially hazardous. Rather than take the DIY route, call the pros in popcorn ceiling removal at The Ceiling Specialists!